Calgary was named after Calgary on the Isle of Mull, Scotland. In turn, the name originates from a compound of kald and gart, similar Old Norse words, meaning "cold" and "garden", likely used when named by the Vikings who inhabited the Inner Hebrides. Alternatively, the name might be Gaelic Cala ghearraidh, meaning "beach of the meadow (pasture)"; or Gaelic for either "clear running water" or "bay farm". 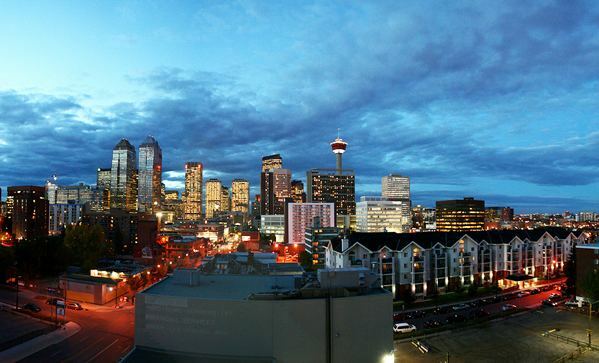 Calgary is located at the transition zone between the Canadian Rockies foothills and the Canadian Prairies. The city lies within the foothills of the Parkland Natural Region and the Grasslands Natural Region. Downtown Calgary is about 1,045 m (3,428 ft) above sea level, and the airport is 1,076 m (3,531 ft). In 2011, the city covered a land area of 825.29 km2 (318.65 sq mi). Adjacent to, or directly radiating from the downtown are the first of the inner-city communities. These include Crescent Heights, Hounsfield Heights/Briar Hill, Hillhurst/Sunnyside (including Kensington BRZ), Bridgeland, Renfrew, Mount Royal, Scarboro, Sunalta, Mission, Ramsay and Inglewood and Albert Park/Radisson Heights directly to the east. The inner city is, in turn, surrounded by relatively dense and established neighbourhoods such as Rosedale and Mount Pleasant to the north; Bowness, Parkdale and Glendale to the west; Park Hill, South Calgary (including Marda Loop), Bankview, Altadore, and Killarney to the south; and Forest Lawn/International Avenue to the east. Lying beyond these, and usually separated from one another by highways, are suburban communities including Evergreen, Somerset, Country Hills, Sundance, Riverbend, and McKenzie Towne. In all, there are over 180 distinct neighbourhoods within the city limits. Calgary experiences a humid continental climate (Köppen climate classification Dfb). It falls into the NRC Plant Hardiness Zone 4a. According to Environment Canada, average daily temperatures in Calgary range from 16.5 °C (61.7 °F) in July to −6.8 °C (19.8 °F) in December. Calgary International Airport in the northeastern section of the city receives an average of 418.8 mm (16.49 in) of precipitation annually, with 326.4 mm (12.85 in) of that occurring in the form of rain, and 129 cm (51 in) as snow. The most rainfall occurs in June and the most snowfall in March. Calgary has also recorded snow every month of the year. It is uncommon in July, but not unheard of. The last notable event was on July 15, 1999. 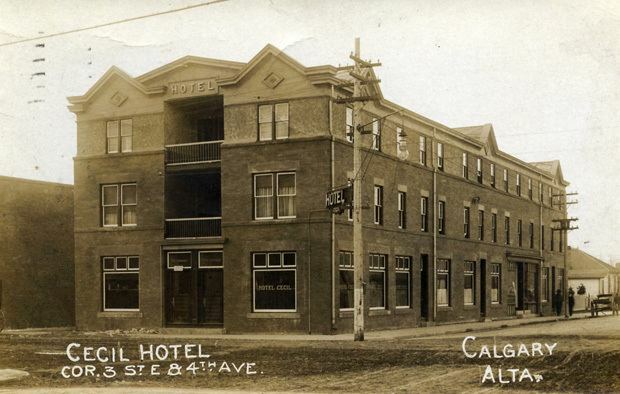 The highest temperature ever recorded in Calgary was 36.1 °C (97 °F) on July 15, 1919, and July 25, 1933. The coldest temperature ever recorded was −45.0 °C (−49 °F) on February 4, 1893. The population of the City of Calgary according to its 2017 municipal census is 1,246,337, a change of 0.9% from its 2016 municipal census population of 1,235,171. In the 2016 Census of Population conducted by Statistics Canada, the City of Calgary recorded a population of 1,239,220 living in 466,725 of its 489,650 total private dwellings, a change of 13% from its 2011 population of 1,096,833. With a land area of 825.56 km2 (318.75 sq mi), it had a population density of 1,501.1/km2 (3,887.7/sq mi) in 2016. 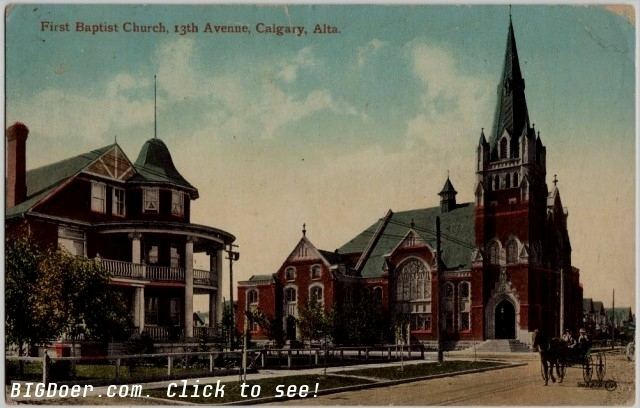 Its St. Mary’s Cathedral is the see of the Roman Catholic Diocese of Calgary. There is also an Anglican Diocese of Calgary. Calgary is recognized as a Canadian leader in the oil and gas industry as well as for being a leader in economic expansion. Its high personal and family incomes, low unemployment and high GDP per capita have all benefited from increased sales and prices due to a resource boom, and increasing economic diversification. As of November 2016, the city had a labour force of 901,700 (a 74.6% participation rate) and 10.3% unemployment rate. In 2006, the unemployment rate was amongst the lowest of the major cities in Canada at 3.2%, causing a shortage of both skilled and unskilled workers. According to a report by Alexi Olcheski of Avison Young published in August 2015, vacancy rates rose to 11.5 per cent in the second quarter of 2015 from 8.3 per cent in 2014. Oil and gas company office spaces in downtown Calgary are subleasing 40 per cent of their overall vacancies. H&R Real Estate Investment Trust, which owns the 58-storey 158,000-square-metre highrise the Bow Tower claims the building was fully leased. Tenants such as Suncor "have been letting staff and contractors go in response to the downturn." The Calgary Public Library is the city's public library network, with 17 branches loaning books, e-books, CDs, DVDs, Blu-rays, audio books, and more. Based on borrowing, the library is the second largest in Canada, and sixth-largest municipal library system in North America. The 22,000-square-metre (240,000 sq ft) Calgary Central Library is under construction in Calgary East Village, and is expected to be completed in 2018. Calgary hosts a number of annual festivals and events. These include the Calgary International Film Festival, the Calgary Folk Music Festival, FunnyFest Calgary Comedy Festival, Sled Island music festival, Beakerhead arts, science and engineering festival, the Folk Music Festival, the Greek festival, Carifest, Wordfest, the Lilac Festival, GlobalFest, Otafest, FallCon, the Calgary Fringe Festival, Summerstock, Expo Latino, Calgary Pride, Calgary International Spoken Word Festival, and many other cultural and ethnic festivals. Calgary's best-known event is the Calgary Stampede, which has occurred each July since 1912. 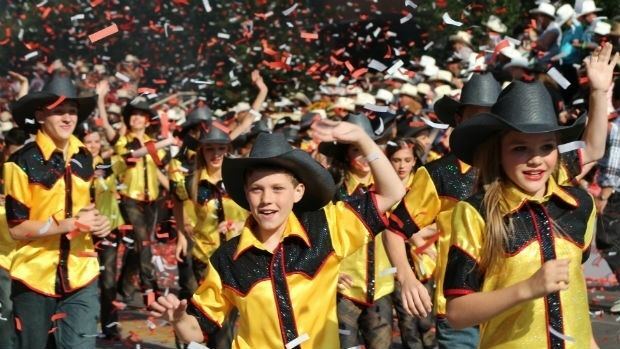 It is one of the largest festivals in Canada, with a 2005 attendance of 1,242,928 at the 10-day rodeo and exhibition. Downtown features an eclectic mix of restaurants and bars, cultural venues, public squares (including Olympic Plaza) and shopping. Notable shopping areas include such as The Core Shopping Centre (formerly Calgary Eaton Centre/TD Square), Stephen Avenue and Eau Claire Market. 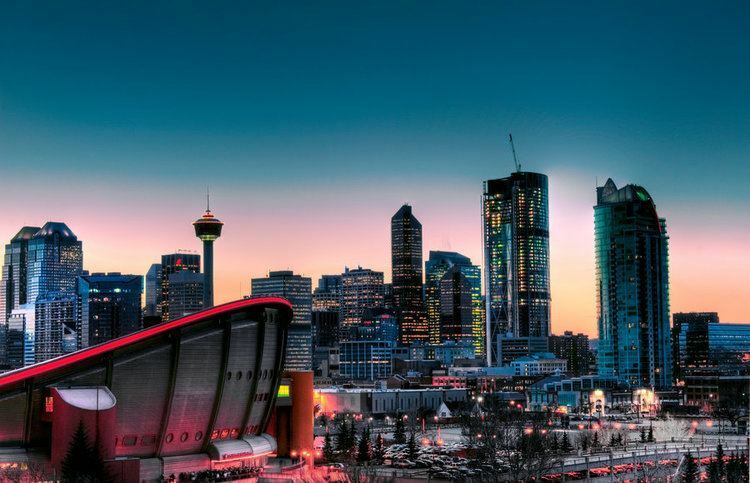 Downtown tourist attractions include the Calgary Zoo, the Telus Spark, the Telus Convention Centre, the Chinatown district, the Glenbow Museum, the Calgary Tower, the Art Gallery of Calgary (AGC), Military Museum and the EPCOR Centre for the Performing Arts. At 1.0 hectare (2.5 acres), the Devonian Gardens is one of the largest urban indoor gardens in the world, and it is located on the 4th floor of The Core Shopping Centre (above the shopping). The downtown region is also home to Prince's Island Park, an urban park located just north of the Eau Claire district. Directly to the south of downtown is Midtown and the Beltline. This area is quickly becoming one of the city's densest and most active mixed use areas. At the district's core is the popular 17 Avenue, known for its many bars and nightclubs, restaurants, and shopping venues. During the Calgary Flames' playoff run in 2004, 17 Avenue was frequented by over 50,000 fans and supporters per game night. The concentration of red jersey-wearing fans led to the street's playoff moniker, the "Red Mile". Downtown is easily accessed using the city's C-Train light rail (LRT) transit system. Calgary is renowned in professional wrestling tradition as both the home-city of the prominent Hart wrestling family and the location of the infamous Hart family "Dungeon", wherein WWE Hall of Fame member and patriarch of the Hart Family, Stu Hart, trained numerous professional wrestlers including Superstar Billy Graham, Brian Pillman, the British Bulldogs, Edge, Christian, Greg Valentine, Chris Jericho, Jushin Thunder Liger and many more. Also among the trainees were the Hart family members themselves, including WWE Hall of Fame member and former WWE champion Bret Hart and his brother, the 1994 WWF King of the Ring, Owen Hart. Within Calgary there are approximately 8,000 ha (20,000 acres) of parkland available for public usage and recreation. These parks include Fish Creek Provincial Park, Inglewood Bird Sanctuary, Bowness Park, Edworthy Park, Confederation Park, Prince’s Island Park, Nose Hill Park, and Central Memorial Park. Nose Hill Park is one of the largest municipal parks in Canada at 1,129 ha (2,790 acres). The park has been subject to a revitalization plan that began in 2006. Its trail system is currently undergoing rehabilitation in accordance with this plan. The oldest park in Calgary, Central Memorial Park, dates back to 1911. Similar to Nose Hill Park, revitalization also took place in Central Memorial Park in 2008–2009 and reopened to the public in 2010 while still maintaining its Victorian style. A 800 km (500 mi) pathway system connects these parks and various neighbourhoods. Calgary also has multiple private sporting clubs including the Glencoe Club and the Calgary Winter Club. Calgary International Airport (YYC), in the city's northeast, is a transportation hub for much of central and western Canada. In 2013 it was the third busiest in Canada by passenger movement, and third busiest by aircraft movements, is a major cargo hub, and is a staging point for people destined for Banff National Park. Non-stop destinations include cities throughout Canada, the United States, Europe, Central America, and Asia. Calgary/Springbank Airport, Canada's eleventh busiest, serves as a reliever for the Calgary International taking the general aviation traffic and is also a base for aerial firefighting aircraft. In the 1960s, Calgary started to develop a series of pedestrian bridges, connecting many downtown buildings. To connect many of the downtown office buildings, the city also boasts the world's most extensive skyway network (elevated indoor pedestrian bridges), officially called the +15. The name derives from the fact that the bridges are usually 15 ft (4.6 m) above grade. In the 2011–2012 school year, 100,632 K-12 students enrolled in 221 schools in the English language public school system run by the Calgary Board of Education. With other students enrolled in the associated CBe-learn and Chinook Learning Service programs, the school system's total enrolment is 104,182 students. Another 43,000 attend about 95 schools in the separate English language Calgary Catholic School District board. The much smaller Francophone community has their own French language school boards (public and Catholic), which are both based in Calgary, but serve a larger regional district. There are also several public charter schools in the city. Calgary has a number of unique schools, including the country's first high school exclusively designed for Olympic-calibre athletes, the National Sport School. Calgary is also home to many private schools including Mountain View Academy, Rundle College, Rundle Academy, Clear Water Academy, Calgary French and International School, Chinook Winds Adventist Academy, Webber Academy, Delta West Academy, Masters Academy, Calgary Islamic School, Menno Simons Christian School, West Island College and Edge School. Because of the growth of the city, its southwest borders are now immediately adjacent to the Tsuu T'ina reserve. Recent residential developments in the deep southwest of the city have created a demand for a major roadway heading into the interior of the city, the southwest portion of the Calgary ring road project. An initial proposal that would allow the southwest ring road to be built through the Tsuu T'ina Nation lands was rejected by the Tsuu T'ina people in a referendum in 2009. A second referendum by the Tsuu T'ina, in late 2013, approved a new agreement to build the southwest ring road, the construction is scheduled to begin in 2016. Like most large cities, there are many socioeconomic issues including homelessness. According to the City of Calgary, "Beginning in 1992 with the first Biennial Count of Homeless Persons, The City focused its research efforts on issues of poverty and shelter. An Affordable Housing Strategy was prepared in 2002, which called for a greater understanding of housing need in Calgary. The Calgary Committee to End Homelessness was formed in 2007 consisting of government representatives as well as business and community leaders. The result was Calgary's 10-Year Plan to End Homelessness, which was released in 2008 and is being implemented by the Calgary Homeless Foundation." Alberta and Calgary have been leaders within Canada in addressing homelessness. Calgary was the first among Canada's large cities to adopt a ten-year plan to address the issue. As a result, the city experienced an 11.4% decrease in homelessness between 2008 and 2012. Although Calgary and Alberta have traditionally been affordable places to live, substantial growth (much of it due to the prosperous energy sector) has led to increasing demand on real-estate. As a result, real estate prices in Calgary have increased significantly in recent years, but stagnated over the last half of 2007, and into 2008. As of November 2006, Calgary is the most expensive city in Canada for commercial/downtown office space, and the third most expensive city (after Vancouver and Toronto) for residential real-estate.